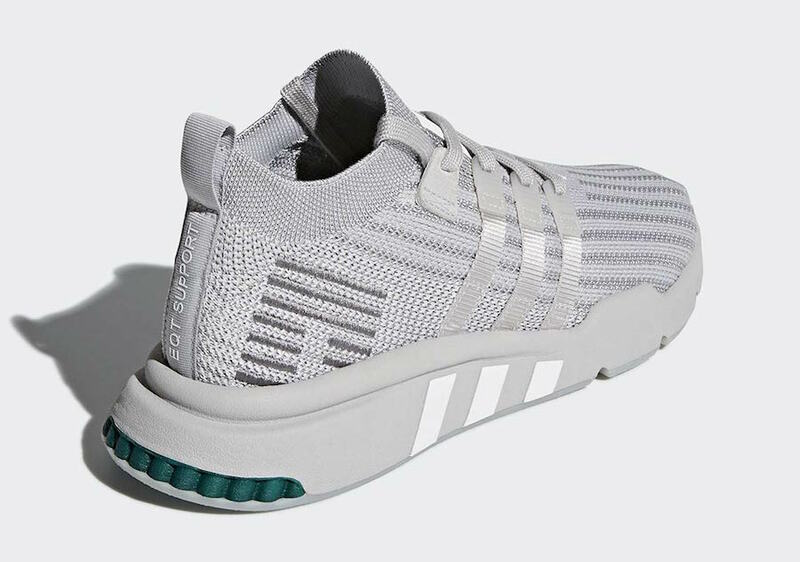 The shoe features a Grey Primeknit upper with a sock-like ankle collar, Silver Metallic finishes and small hints of Green on the underlaying the Three Stripes and heel. A Grey midsole and matching rubber outsole completes the design. Look for the adidas EQT Support Mid ADV “Silver Metallic” to release on June 1st at select retailers and adidas.com. The retail price tag is set at $120 USD.